With the LJ-12 Recorder, L.J. Scully offers the broadcast and recording industries a new standard in analog recording. 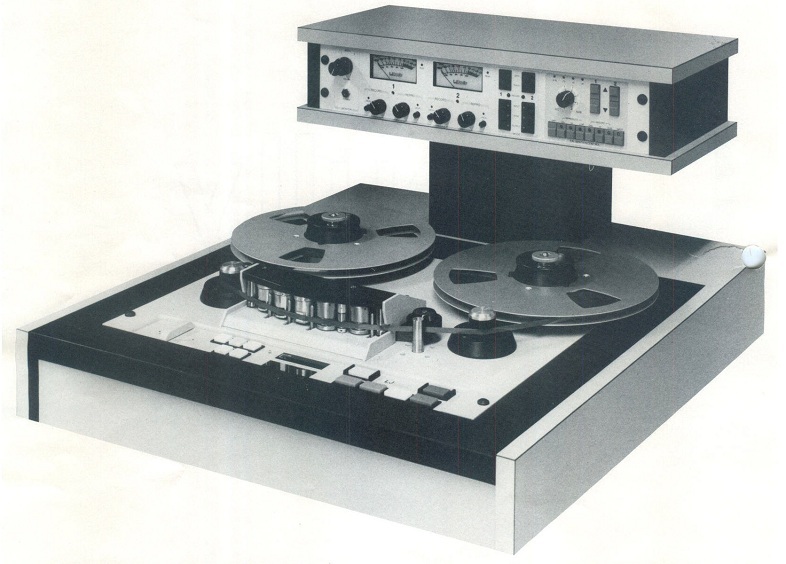 Now audio engineers have complete Digital Control of an analog tape recorder. At the heart of the LJ-12 are three advanced micro-processors, each communicating with the other, allowing unprecedented operational stability and flexibility. ■ Self diagnostics and plug-in circuitry for ease of service. ■ All connectors the finest available, including macliined-pin gold plated I.C. sockets and two-piece plug/receptacle type circuit card connectors. ■ Complete digital control of the transport functions including the use of lifetime hall-effect switching . ■ Solid-state, infra-red tape sensor using no moving parts or tape slots that interfere with tape threading. ■ Closed loop, dc servo capstan drive for ultimate speed accuracy Bi-directional servo capstan system allows reverse play capability. ■ The most accurate vari-speed system ever offered, with precise digital control of capstan speed from 3.00 to 36.00 IPS in .01 IPS increments, with L.E.D. display of IPS or percent of deviation. ■ Digital, real time position locator with LED display. ■ Home, replay and dump edit functions for ease of editing. ■ Shuttle control for easy cueing. ■ Digitally controlled constant tension reel motors for gentle tape handling. ■ Slow wind spooling mode for improved tape storage. ■ Long life, hot pressed glass bonded ferrite heads are standard. ■ Five position head stack allows spare head location in addition to the SMPTE time code head. ■ SMPTE compatibility using a center track between the two audio channels with a separate head to eliminate crosstalk problems. ■ Advanced, efficient switching power supplies insure cool operation without noisy fans. ■ Universal power supply mains input compatible with all world standards. ■ Versatile accessory connector allows access to all of the machine's vital internal signals including tallies, push-button inputs, and power supplies for easy interfacing to synchronizers and controllers. ■ Accepts both parallel and serial remotes and can be controlled using RS232 data (without the use of "black boxes"). ■ Transformerless, high current, true differential output stage can supply +28 DBM and distortion-free unbalancing. ■ Quiet punch-in and out with bias delays precisely controlled by the audio control microprocessor. ■ Non-volatile memory stores all audio adjustment values and insures dependable storage without batteries. ■ Storage of separate values for every audio parameter, for all four tape speeds, for four tape types, with NAB or lEC standards. ■ Programmable fast-mute level and automatic high frequency correction prevents monitor speaker damage in lifter defeat mode. ■ Built-in monitor amplifier with headphone jack and terminals for console mounted speaker. ■CIosed loop drive offering substantially improved wow and flutter. ■Linear actuated pressure rollers for a fast, smooth start. ■Ability to gently handle 1 mil tape on 10" and 14" reels. ■Solid state logic control circuitry. ■Motion sensing for smooth control of fast and stop operations. ■Fault detection for early signaling of a potential malfunction. ■Front panel plug-in printed circuit construction for easy alignment and maintenance. ■Automatic equalization change with capstan speed selection. ■Cue mode for easy loading and service. 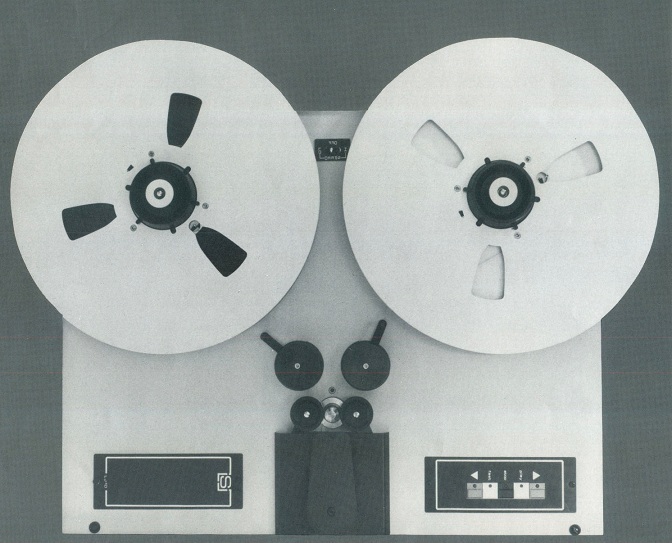 Do you have content, to add, about the Scully Model LJ-10 and LJ-12 Tape Machines or associated topics? Please feel free to Share it, here!